Forex is a term that traders and professionals often use to refer to the currency exchanging market. The primary function that this market serves is facilitating the exchanging of currencies between institutions, corporations, and individuals. It’s by far, the biggest market in the world with the daily volume as of 2013 reaching over 5 trillion US Dollars. Most of it, about 80% occur between large financial institutions and banks. The main trading centers are London, New York, Tokyo, Frankfurt, and Singapore. The largest traded volume occurs in the city of London, hence, it is considered the capital of the Forex market. The Forex market is an integral part of our life. Whenever you need to travel to another country or buy something from abroad, you will need foreign currency. Everyone is in some way part of this huge foreign exchange market. The currency market is a unique financial market because it is open and trading all around the clock during the working days of the week. This trillion dollar market open 5 days in a week 24 hours. it’s not centralized in one place like other financial markets are, but instead, banks and financial institutions trade directly between each other through large financial networks. Selling is just as easy as buying – Unlike in the stock market, shorting a currency pair is a common practice. In fact, it’s no different than buying a pair because of the way the Forex market works. When you go long on a pair, say EURUSD, you are simultaneously buying the first currency (Euro) and selling the second one (USD). When you go short, you are selling the first currency (EUR) and buying the second (USD). The most liquidate currencies those are also most traded, are the US dollar, EUR, Japanese yen, British pound, Swiss Franc, CAD the Canadian dollar, Australian dollar. Unlike the stock market, Forex trading market has no central exchange. With trading forex, you can make a profit (loss also?) whether the market is up or down. Contrasting, only making money when the stock market goes up. A “currency pair” is a Forex instrument. Such as EURUSD, USDJPY, USDCHF, etc. Forex is always traded in pairs. In the case of EURUSD, this parity means that you trade Euros against US dollars. If you buy EURUSD, you are buying Euros and selling Dollars, if you sell EURUSD, you are selling Euros and buying Dollars. Forex online brokers provide a practice account you can see every broker has an opportunity to open demo account there are lots of guidance, and market forecast for the beginning investor. 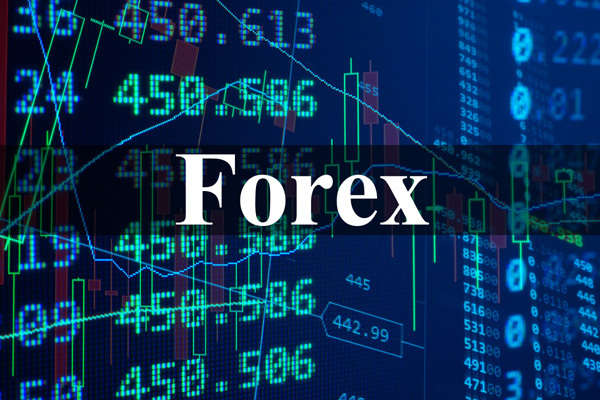 Beginner traders can practice their skills in forex trading before actually investing in live forex account with real capital. Once you have gathered some basic skill, the lowest amount of investment can be made. Some broker support as low as $100.00. This ‘mini-trading’ account is a nice way to start forex trading. But keep in mind for inappropriate money management with such small amount can be blow up your trading account in a day. So you need to learn something about money management. In spite of using a good trading system without correct money management success goes far. For this reason, we provide a money management guide to our entire forex trading signals subscriber for free that help a trader a lot. For money management need to learn proper stop-loss, take profit and trailing stop using. First, I am saying here about Stop loss and take profit in regards to execution trading. Stop-loss allow you how much risk you want to take for the trade and take profit allows you to enter the expected price level. But those are not a guessing job that almost all new trader trades on guesses. Forex trading must not guesswork! Beside calculation, the risk parentage here also needs some calculation where the market can react. Earlier we discussed elaborately in this article Forex Stop Loss Take Profit & Trailing Stop. Practice this in your demo account, then became a pro. In this trade we enter the market after triggering the pending order at 1.2325 where YOU can see target first minimum 50 PIPs reached and as market down more we expect to reach its 100 PIPs but SL is 40 PIPs. We need to identify the correct trend and its strength how long market will advance if go opposite we must close this in the minimum loss. By this methodology, we can protect the account and can make profit consistently. Some time false trigger can be very annoying for a trader often some trader blame only broker, but here needs a good calculation for large spread brokers. To calculate Stop Loss (SL) a trader should take the bid price. We have written details with chart pictures here How to set a proper stop-loss.